Story 4  Who is My Queen? Story 2  Pull the Keg! Story 3  Does it Fit? 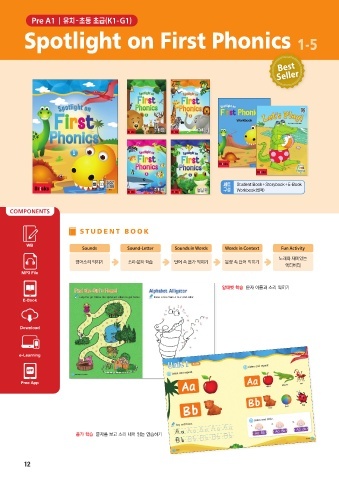 First Phonics 2                                                      Story 5  Rub the Mug! Story 1  Save the Cake! First Phonics 4                                                      Story 5  Who Munched on My Fish? 12   ✽스토리를 읽고 난 후 재미있게 풀어볼 수 있는 Story Activity가 함께 들어 있습니다.